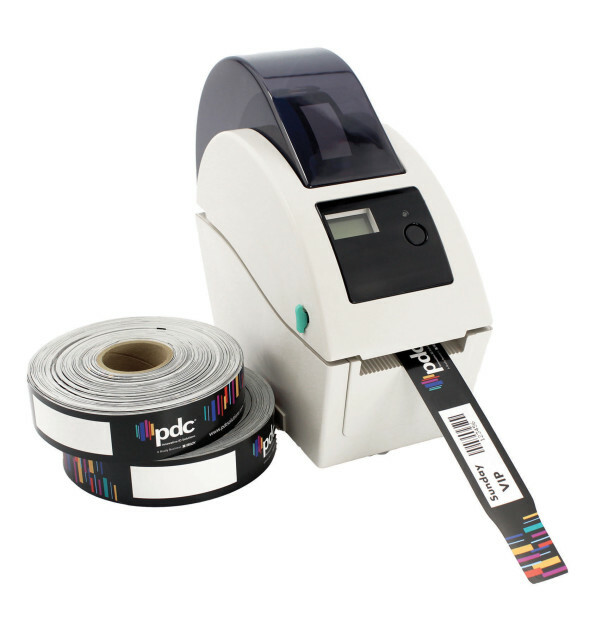 The combination of a custom full-color pre-printed design with thermal surface for on-demand printing and RFID encoding provides the ultimate in high-security event management and counterfeit prevention. Full color custom print capabilities allow you to add your company logo, photos, and custom bar codes or variable data. Thermal print-on-demand surface is perfect for customizing individual wristbands with event dates, expiration dates, special offers, and bar codes. 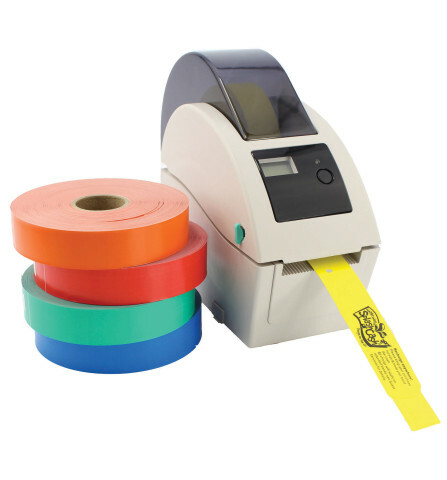 Material: Waterproof and fade resistant with tamper-evident adhesive closure to prevent transfer. Securely sealed RFID tag to reliably store and transfer data. Custom Printing: Full-color, photo quality printing including variable data, alpha-numeric, and sequential serial numbering capabilities. See custom imprint specifications. Lead Time: Ships 4-6 weeks from date of artwork approval & payment terms. Lead times vary pending RFID inlay availability. 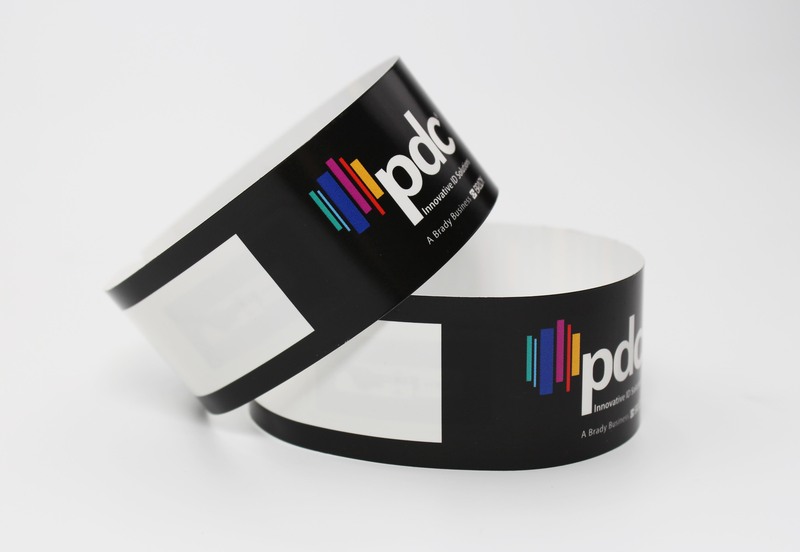 Let your imagination run wild with PDC Smart® ScanBand® Full-Color Wristbands. Photo-quality full-color printing capabilities allow you to add your logo and tagline or new campaign slogan, photos from your venue, or a trendy vector graphic. Add a special offer to generate immediate sales, or provide instructions for redemption programs. You can even sell advertising space to local businesses or brands for sponsorship revenue.